It’s a busy and BEAUTIFUL time of year in Houston (how about that snow?!) and I know you are bizzy-n-dizzy with parties and teacher thank yous and present wrapping and more. The list of events can be overwhelming so I want to make it easier for you. This week I have my usual PICKS but also I want to recommend that you grab a cup of coffee, click on this link, and peruse that round-up compiled by the Greater Houston Convention and Visitor’s Bureau. It’s got a lot to do and see and you can print it up and check it off. Have fun! 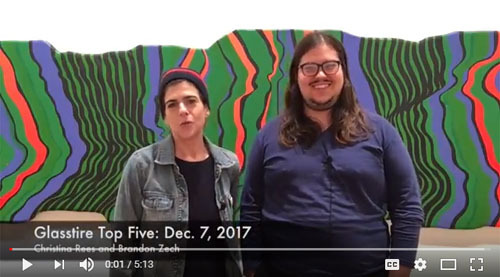 This week’s VIDEO PICK is the “Glasstire Top 5” with Christina Rees and Brandon Zech, who are chatting about cross-pollinating art collectives, the Lizard Cult, and art you can buy for Christmas. If you don’t know about Glasstire, you need to! It’s a cool online pub and website about visual art across Texas created and published by my friend and art connoisseur extraordinaire Rainey Knudson. Sign up and learn more here. 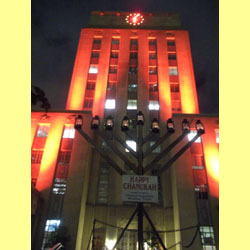 The City of Houston and Chabad Outreach have teamed up again for the annual lighting of the Menorah, which will be this Saturday, December 16 at 7:30pm. 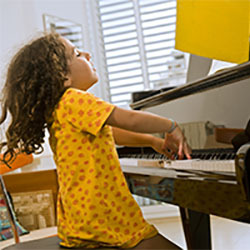 The event will feature traditional music, Dreidel games, sufgaiot (jelly donuts), and Chanukah gelt (chocolate coins). Yum! The Rec Room crew has cleverly re-imagined the classic “Hansel and Gretel” (through December 23) in a 600 square foot wooded installation that seats 30. 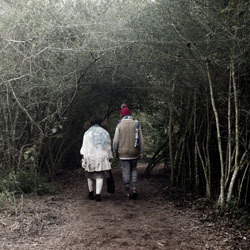 It’s a truly immersive experience as the audience follows siblings Hansel and Gretel through the wintery woods on their quest to find both home and independence. Suitable for children 8 years old and up. 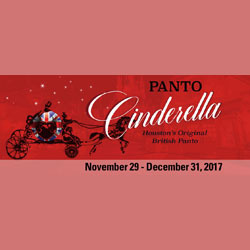 One of my fave annual holiday kid shows is back – “Panto Cinderella,” – which is a British style of theatre that’s farcical and fun. This version is packed with zany characters, audience interaction, and plenty of toe-tapping music (plus “Buttons,” a goofy narrator that pops in and out). It’s onstage through December 31. The "Human Rights Art" exhibition at the Holocaust Museum Houston is timely indeed with all that is going on in our country today. 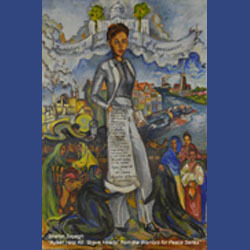 The showcase of 32 mixed-media artworks from the permanent collection of South Texas College features artists Sharon Sayegh, Keith Sharp, Guadalupe Victoria Reyes, and Deborah South McEvoy. It’s on view through June 3, 2018. The Houston Ballet has moved its shows this year, since the Wortham Theatre is still in recovery mode, so “The Nutcracker” will head to the Smart Financial Centre in Sugar Land from December 10-23 and at the Hobby Center in Houston from December 30-January 6. This annual holiday show features Stanton Welch’s spectacular new production, complete with delightful music, costumes, and hundreds of characters! 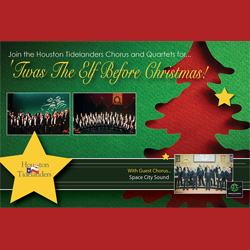 The Houston Tidelanders are an award-winning Barbershop chorus and they’ll be presenting this year’s holiday show, “’Twas the Elf Before Christmas,” through December 17 at the MATCH. The program ranges from “Jingle Bells” to “O, Holy Night” and this year the chorus will receive a surprise visit from one of Santa’s elves. 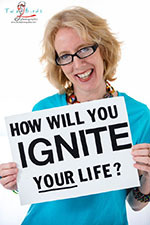 Be sure to check out my two monthly columns: “Ignite Your Life!” in Natural Awakenings Magazine and “Gish at the Movies” in Local Houston Magazine. 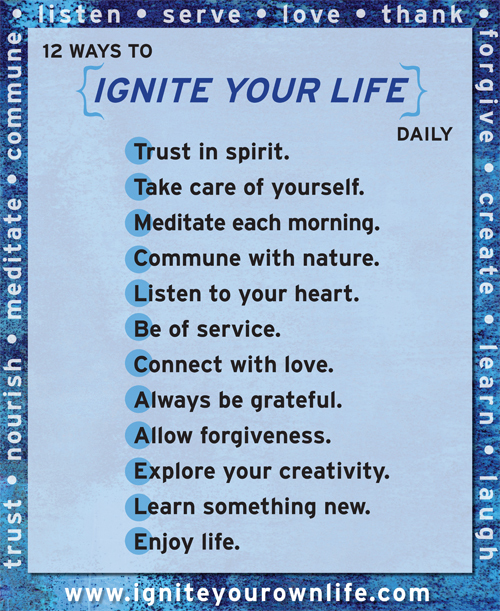 For this month’s Natural Awakenings article, I wrote about way 12 of my “12 Ways to Ignite Your Life Daily,” which is “Enjoy life.”/Laugh. It’s a perfect complement to my Gish at the Movies article in which I introduce readers to the very lovely iPic Houston theatre near the Galleria.